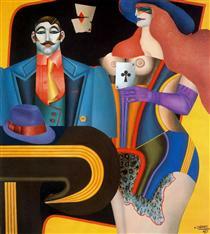 In 1905 the family moved to Nuremberg, where Lindner's mother was owner of a custom-fitting corset business and Richard Lindner grew up and studied at the Kunstgewerbeschule (Arts and Crafts School), now the Academy of Fine Arts Nuremberg. 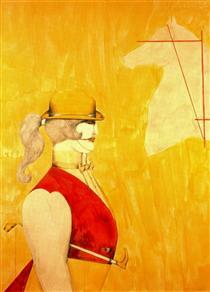 From 1924 to 1927 he lived in Munich and studied there from 1925 at the Kunstakademie. 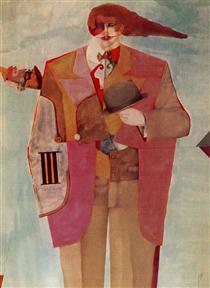 In 1927 Lindner moved to Berlin and stayed there until 1928, when he returned to Munich to become art director of a publishing firm. 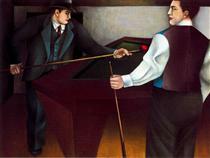 He remained in Munich until 1933, when he was forced to flee to Paris. 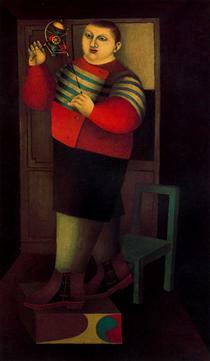 Once in Paris, Lindner became politically engaged, sought contact with French artists and earned his living as a commercial artist. 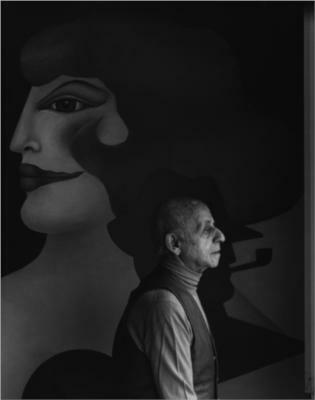 He was interned when World War II broke out in 1939 and later served in the French Army. 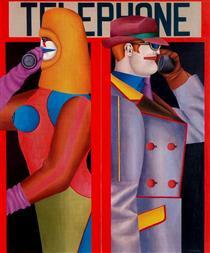 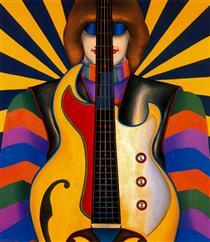 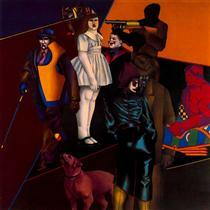 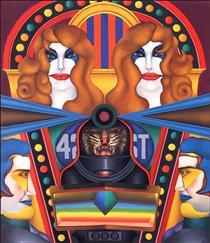 42nd Street Richard Lindner ? 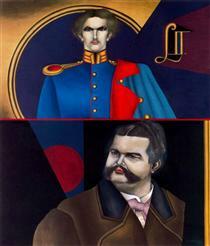 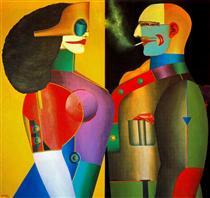 Double Portrait Richard Lindner ? 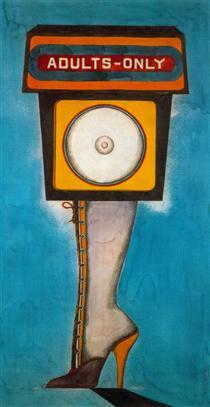 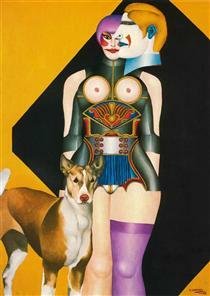 Marilyn Was Here Richard Lindner ? 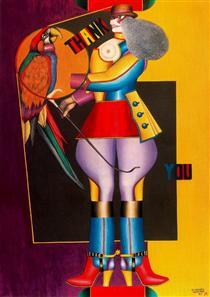 A Letter from New York Richard Lindner ? 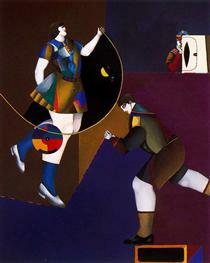 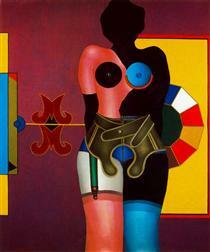 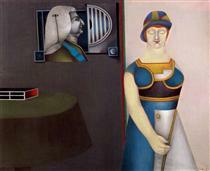 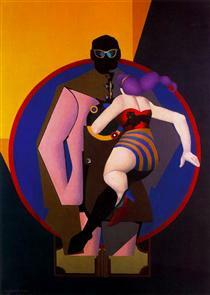 Adults Only Richard Lindner ? 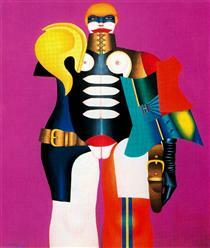 Angel in Me Richard Lindner ?